That spider is adorable. Almost belongs on cute overload if it didn't eat the insides of its prey. 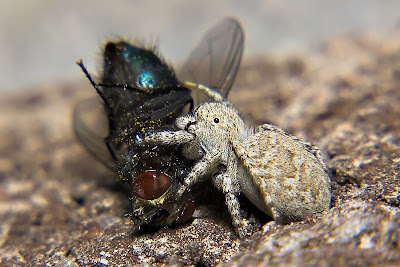 I am not sure which I dislike more, spiders or flies, but this is an amazing photo!